Chad Estep. University Police received an anonymous tip last September that helped lead to the identification of Estep, who allegedly pushed a man off the CTA platform in August. University Police received an anonymous tip this September that helped lead to the identification and arrest of NU doctoral graduate Chad Estep. 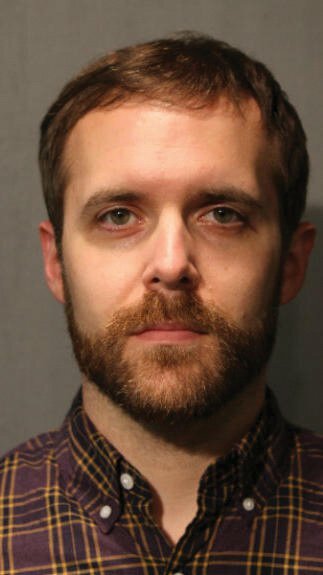 Estep allegedly pushed Chicago resident Ben Benedict off a CTA platform on Aug. 1. Chicago Police Department spent about a month without a suspect in the attempted murder case before Estep was identified. UP received the tip Sept. 13 and alerted CPD the same day with the information they received, Northwestern deputy chief of police Gloria Graham told The Daily in an email. This information, along with several tips from other sources over the following days, helped detectives identify Estep, according to an article published by the Chicago Tribune. CPD attempted to contact Benedict after the attack via phone calls and a letter, but suspended their investigation Aug. 9 after they did not hear back from Benedict, according to the Tribune. It was only after the Tribune published a Sept. 6 story about the incident that CPD received calls with information about the case. UP called CPD about the tip shortly before noon, the Tribune reported. Three other tips came in between Sept. 11 and Sept. 20, including one from a woman who claimed she used to date Estep and was “sure” he was the attacker, according to the Tribune. Benedict identified Estep during an in-person lineup Oct. 9, the Tribune reported. He was arrested later that day on charges of attempted first-degree murder and aggravated battery in a public place. On Oct. 30, Estep pleaded not guilty to four counts, including aggravated battery against a transit employee and unlawful restraint.